Barre is a low impact, full body workout that helps you lengthen your muscles and strengthen your core. 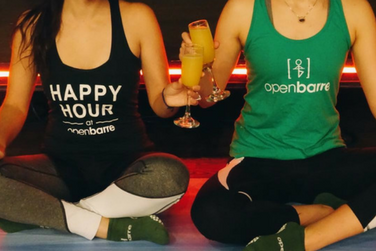 Join OpenBarre for a fun class, then stay for brunch afterwards! Registration includes the barre class and one mimosa, or a juice/coffee for those under 21. Class begins right at 10AM, so make sure you're early! Please bring your own mat and water. If you'd like to borrow a mat from OpenBarre, please email openbarrestudios@gmail.com at least 24 hours before the event to reserve one, as OpenBarre's mat supply for special events is limited.